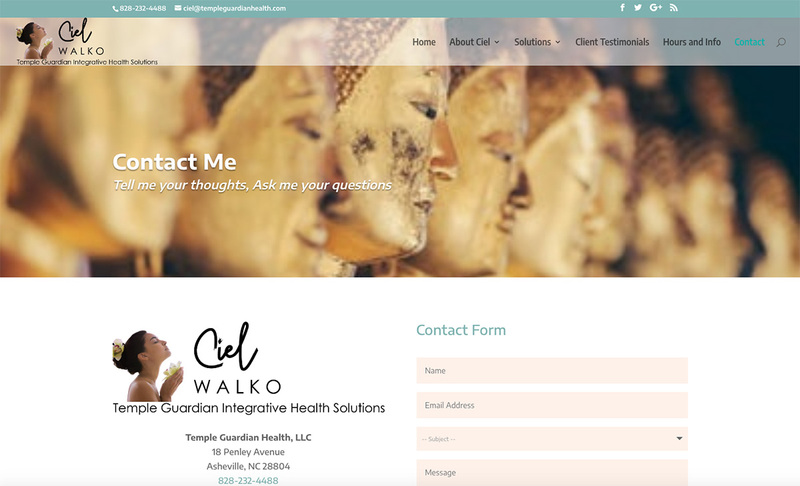 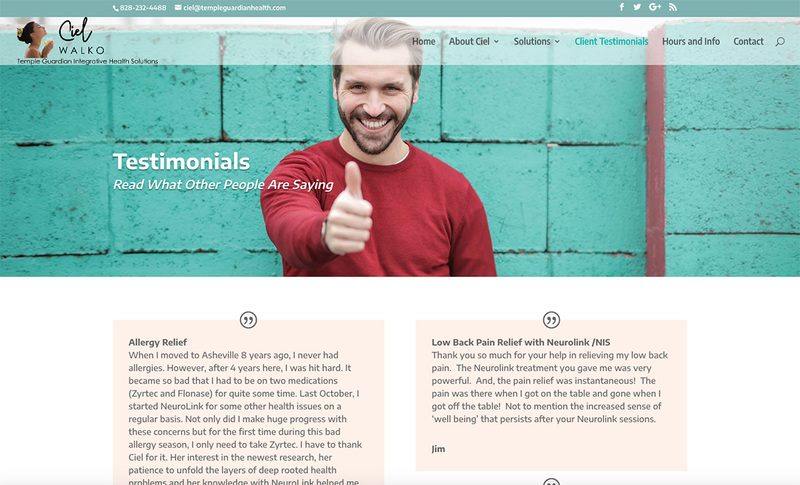 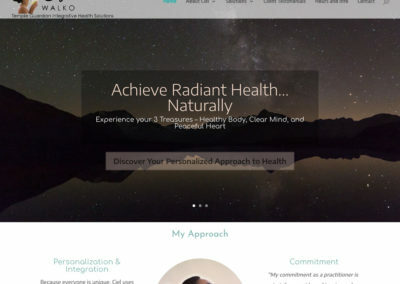 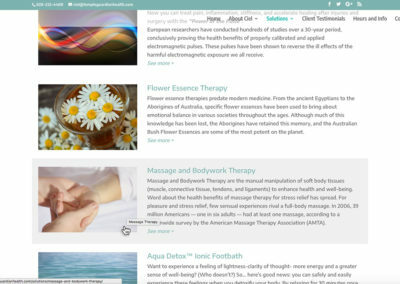 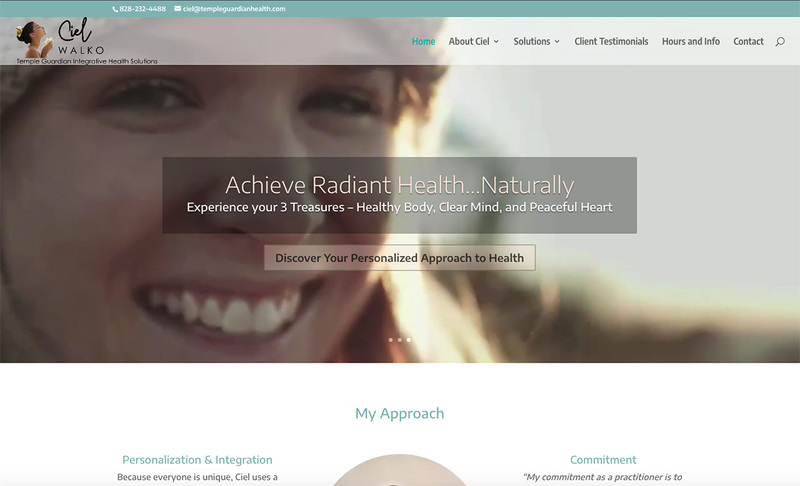 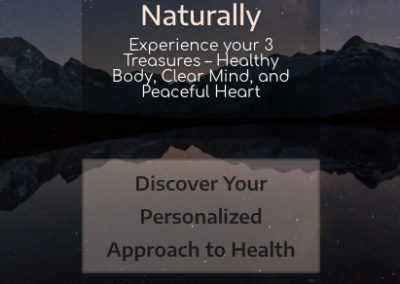 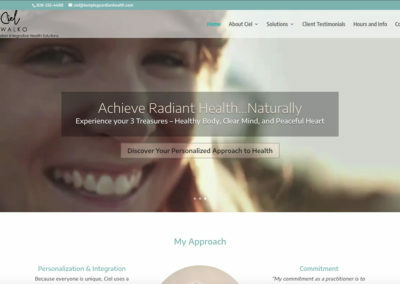 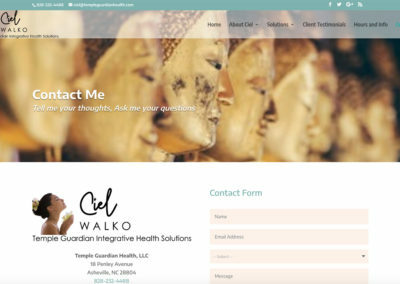 Ciel Walko had an older, non-mobile website in Joomla, but wanted a completely new site with a new logo, essentially rebranding her business, Temple Guardian Health. 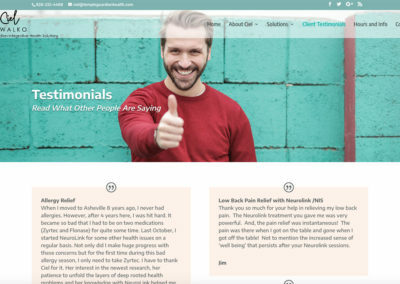 She had some experience with the Divi theme, and mainly wanted someone with enough tech savvy to set up the main pages, on which she could build later. 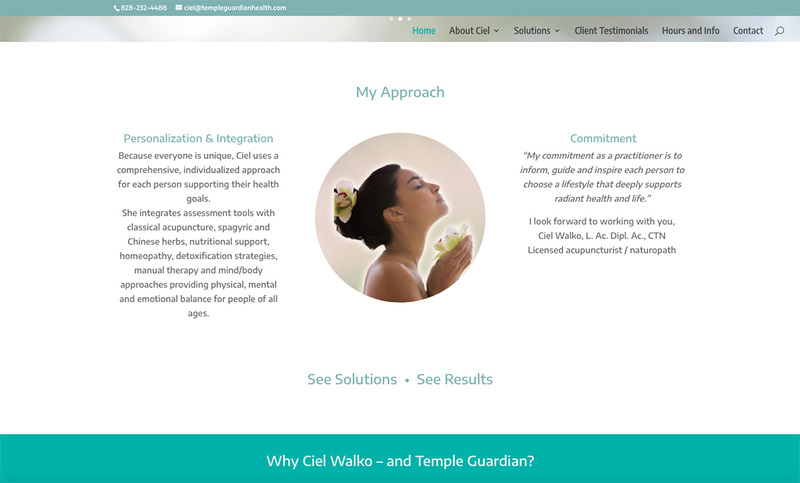 It was still involved, setting up a main Solutions page for services she offered, with special mouse-over effects for each description, which would link to its own sub-page. 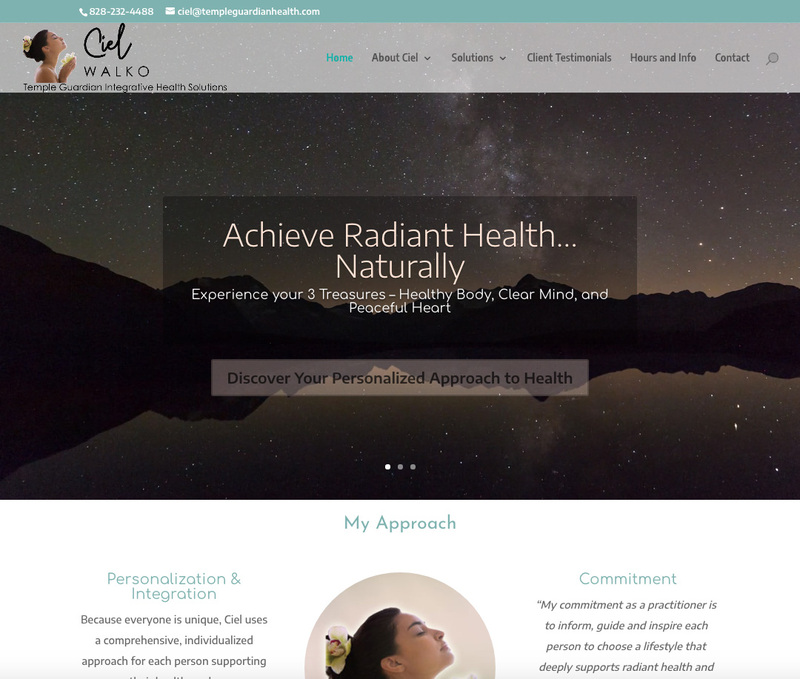 She wanted a clean feel to her site (contrasting to the dark site she used to have), as well as a catchy video slider for the home page. 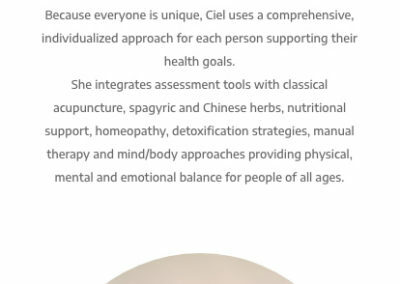 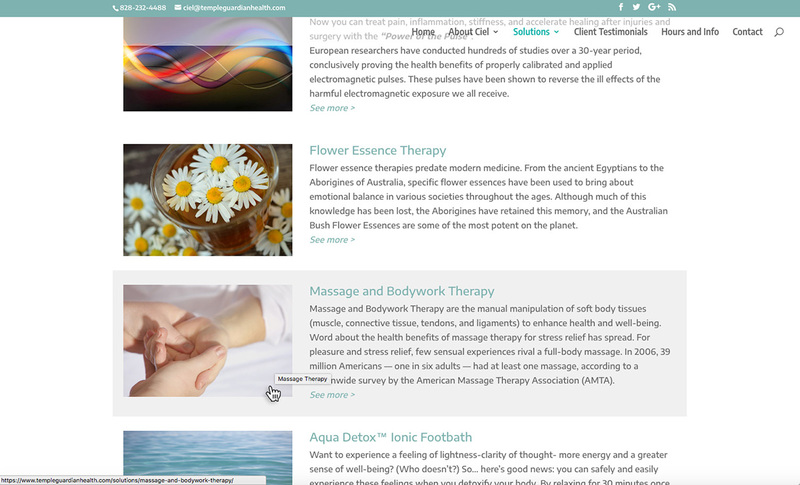 The screenshots in the gallery below reflect how the site looked when I turned it over to Ciel, but Ciel is a graphic designer in her own right, and she plans to play with fonts, colors, and images on her own, as well as add content and more sub pages at some point. 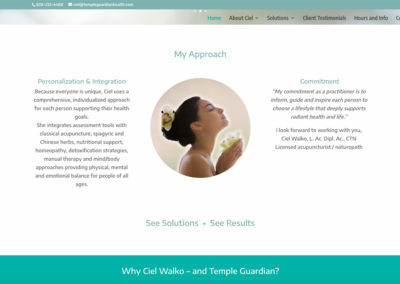 I like to empower my clients to go on to do great things with their sites, but am still on call if she encounters difficulty and needs help.